Wilbury Home Furniture is your premier source for high quality office furniture. We have a wide array of diverse options available—from compact computer desks to large and luxurious executive desks. No matter what type of office furniture you need, you can count on our online furniture store to provide you with options that are stylish, affordable, and built to last. If you are looking for an office desk that features a simple and streamlined design, opt for one of our sleek writing desks. We have writing desks available with a variety of features, including drop down drawers, lift tops, side mounted shelves, and more. 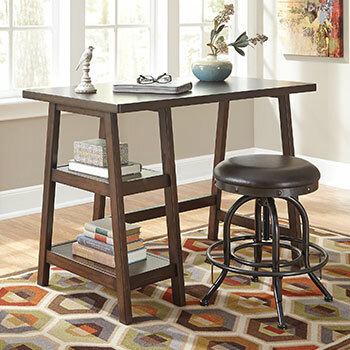 Overall, our writing desks are compact and will fit nicely in a home office of any size. Computer desks are another option for those who prefer simply styled home office furniture. Computer desks are similar to writing desks, except they also include sliding keyboard drawers, making them the perfect option for someone who works on a laptop or a desktop computer. For those who have more space to spare, you may want to consider purchasing one of our sophisticated executive desks. Our executive office desks provide ample desk space and a series of spacious storage drawers. Our executive desks are traditionally styled and feature ornate decorative accents and beautiful dark wood finishes. Our credenzas will add extra organization to your home office. We sell credenzas in a variety of styles, all of which include a large array of drawers, storage compartments, and roomy cabinets. A credenza is the perfect piece of office furniture for someone with a large number of documents and office supplies to store. In addition to these great home office furniture selections, we also sell corner desks, office desks with hutch additions, and more. 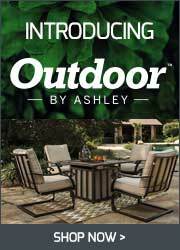 Look at our online furniture catalog to see all that we have to offer. At Wilbury Home Furniture, we want to help everyone build the home office of their dreams. Our online furniture store services customers in Glen Head, NY and all of Nassau County. Happy shopping!